So this is the follow up entry to my Euro Road Trip entry, if you haven’t read it yet, I suggest to read it here first. 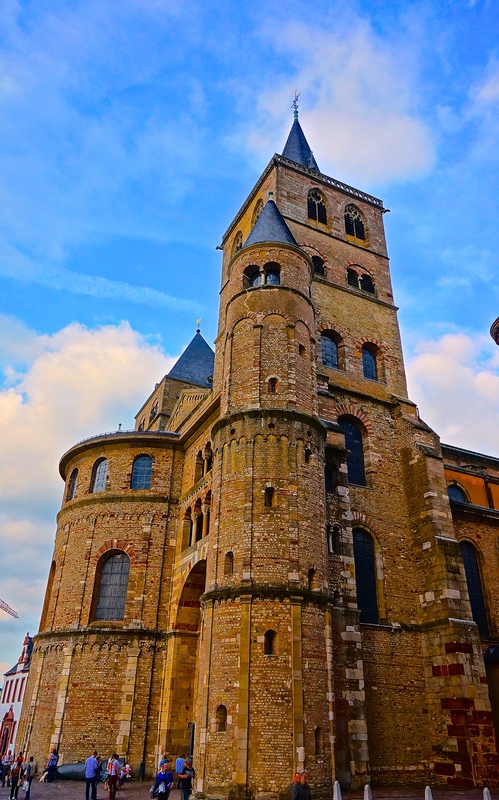 This entry covers the trip south to Bonn, Trier then Luxembourg and the medieval mountain town of Vianden. October 2014. Waking up in Wuppertal was a little weird. It was already 8am and the whole house was so dark, pitch dark. Why? Because the aluminium window shutters were all down. Installed in European homes against the bright early rising sun and also for added security. So a quick breakfast with the family and it was on our way down south. 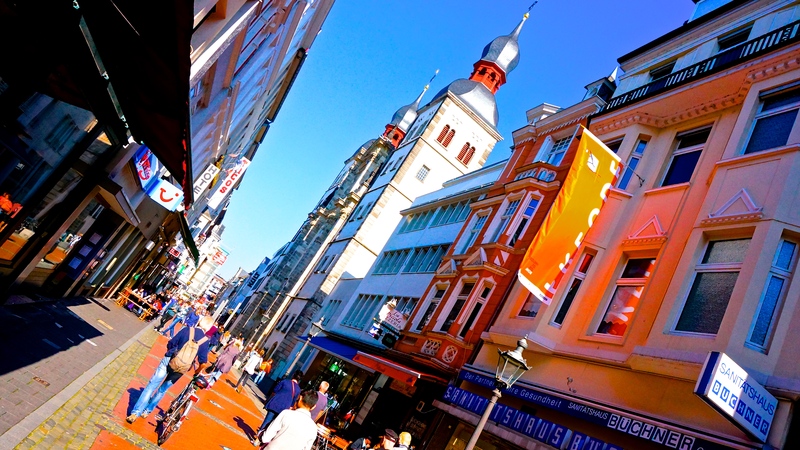 I wished I could have stayed one more day in Wuppertal so I can explore the city but I only had four more days left. Mr. K, the host of the house was an avid book collector. I was staying in the library so I was rummaging through his collection of history books. I found something extraordinary. 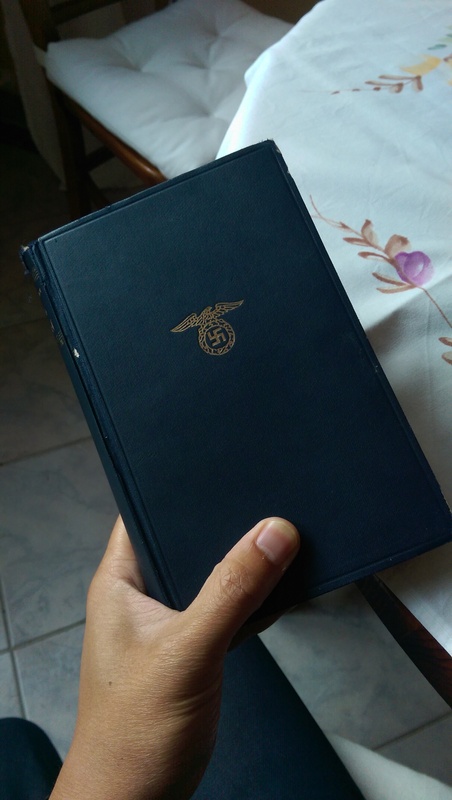 A rare book. 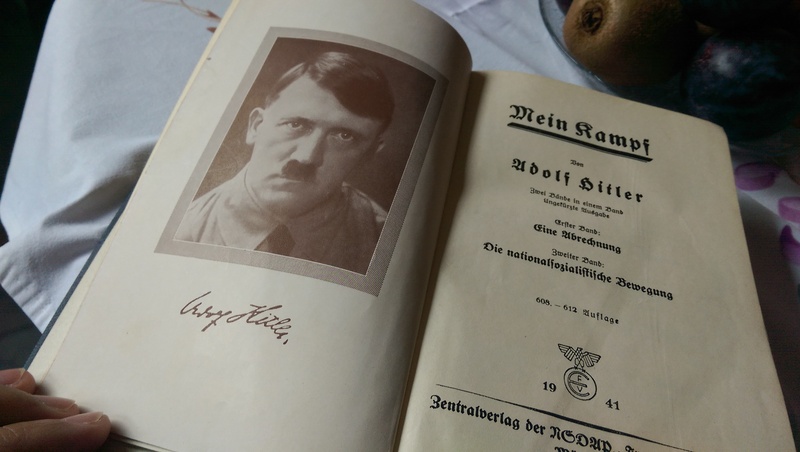 The original first edition of Adolf Hitler’s book, Mein Kampf or in english, My Struggle. It was a scary little book to behold. So much history in those pages. 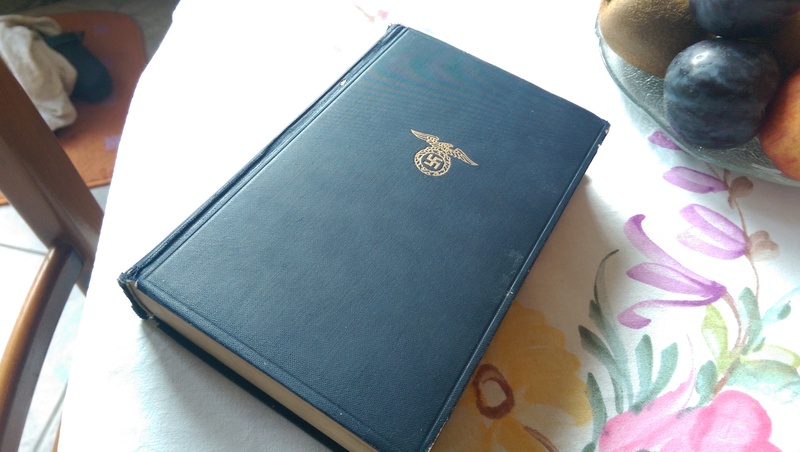 Could be nice to read it to understand what was inside Hitler’s mind but it was in German. So no. I carefully placed it back and hid it somewhere in the numerous history books. Maybe someday, it will have its purpose again(for research but not to implement and copy). Driving down to the old city of Bonn was a quick 45 minute drive, just in time to meet an old Dubai friend now based in Bonn, N for lunch. Good this N was free on that day to meet and show what Bonn has to offer. 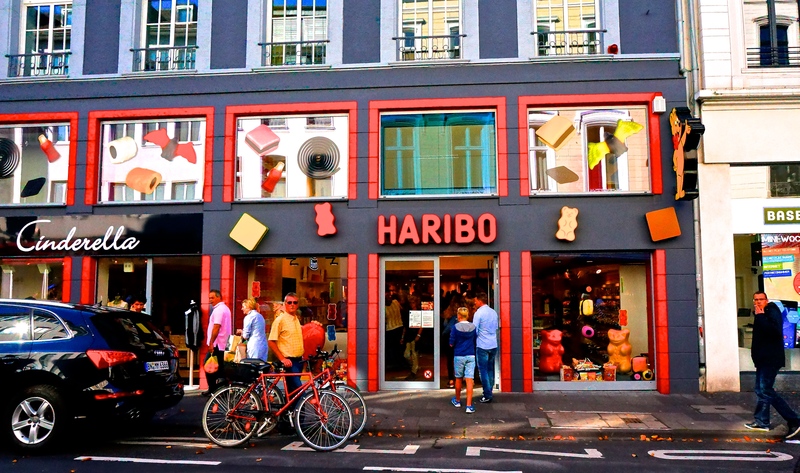 I heard Bonn is where our favorite gummy candy Haribo was made and discovered. 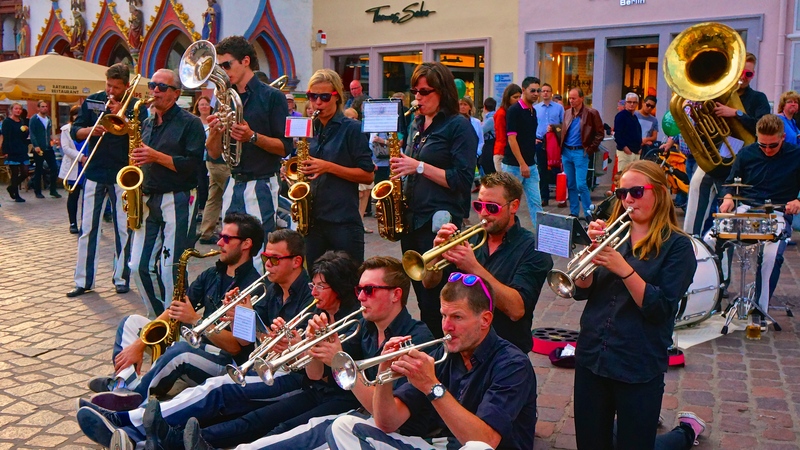 Another reason to visit it(but in truth, almost every German city is like a Haribo capital). 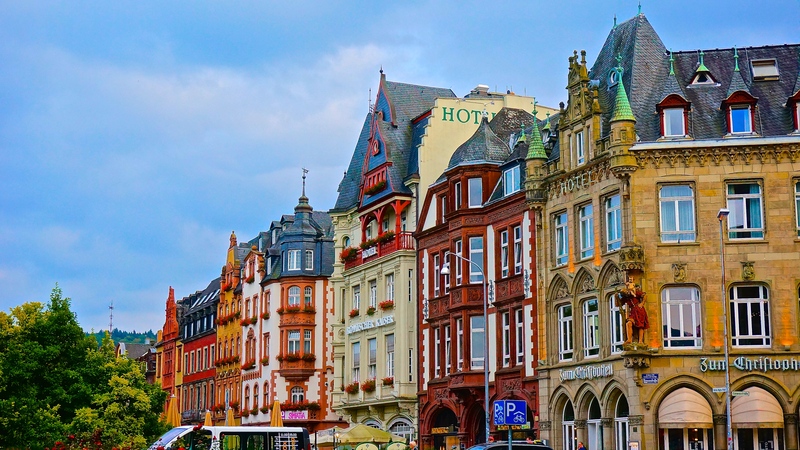 Did you know that Bonn, which is located by the banks of the Rhine river, is one of the oldest cities in Germany, and was once the capital before it got moved to Berlin. So when I arrived in Bonn, I was expecting it to be massive, big and metropolitan. No. 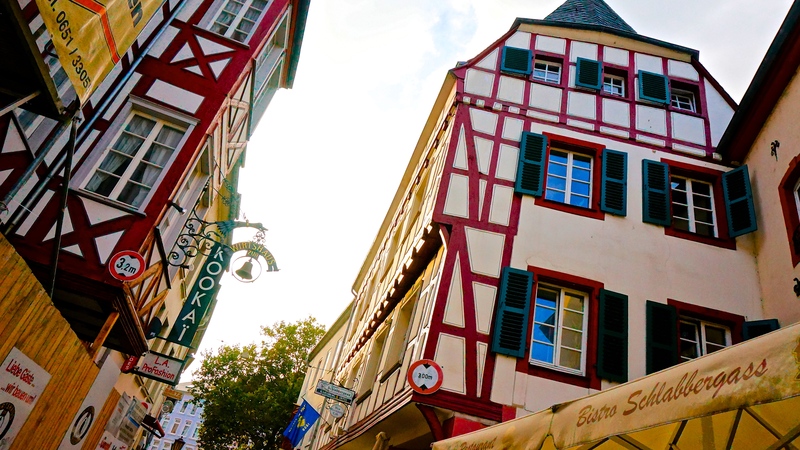 It looks like a small town with small cobblestoned streets and little stores and restaurants. 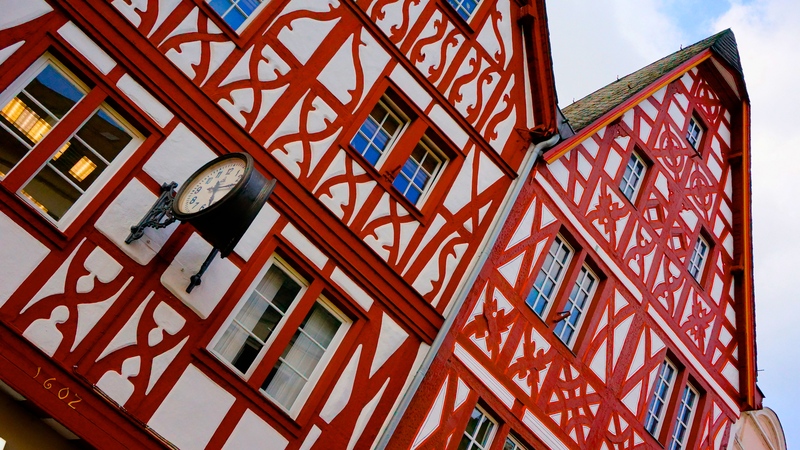 But look carefully and you get to see details in the buildings that they were really once the capital of the whole Deutchsland. You got big parks and universities in Bonn. 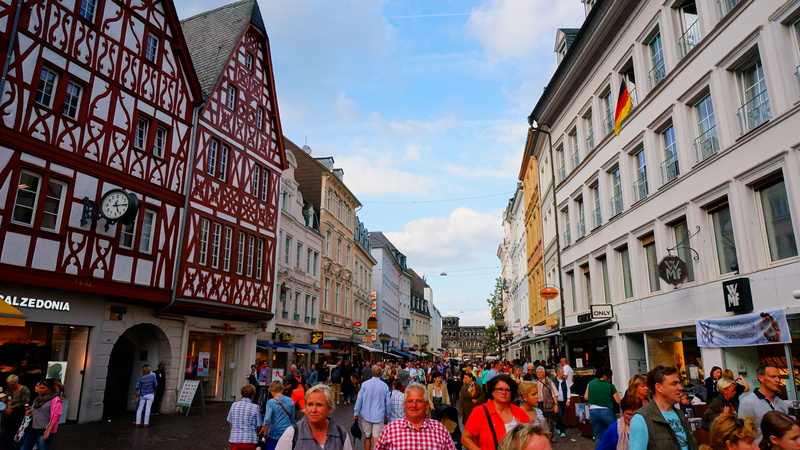 And the old town area was bustling with tourists and dotted with restaurants of different cuisines. The weather was amazing at 20’C during noon time so it was time to have lunch with N al fresco. 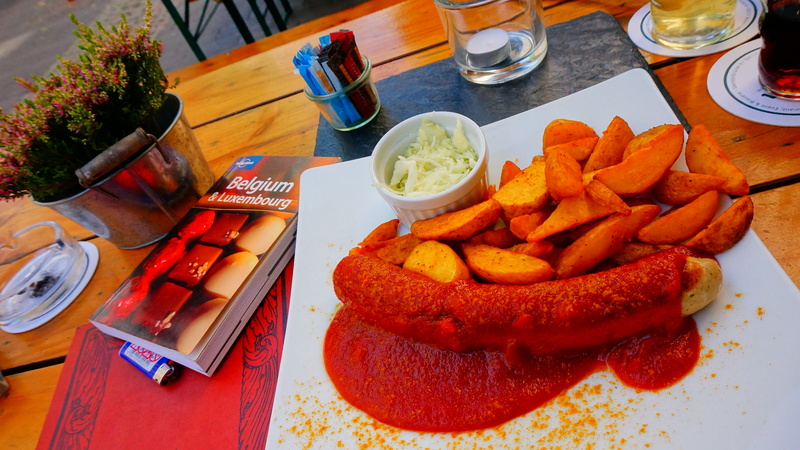 My Currywurst experience at Bonn, dining al fresco. Though I am far from having original Currywurst sausages(from Berlin), I still ordered some for lunch, and of course a good german beer. 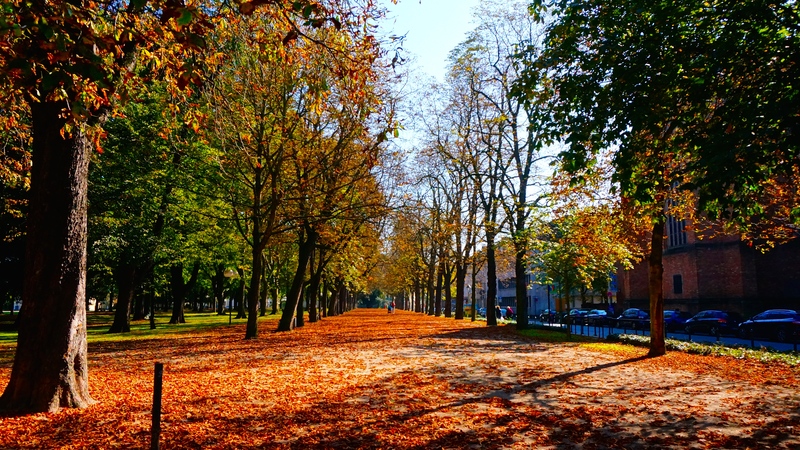 a quick stroll around the old town and parks where you can now see the leaves turning brown and gold for summer, the sun was still up and decided that we still had a good couple of hours of sunshine on the way to the next town of Trier. Doing road trips in Europe sometimes won’t give you enough time to explore the city but just get a glimpse of it. That was its purpose. It will always you take you two to three days to actually understand the culture of a city and its people. Long weekends and the sun up means sleeping and playing in grass is the way to go. 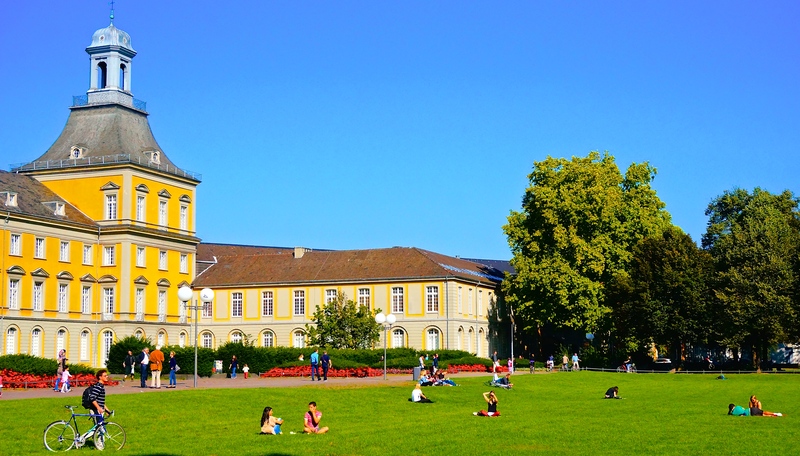 University of Bonn. Since it was a long weekend in Germany(3rd October), I actually invited N to come along for the road trip down south reaching Luxembourg. It was so spontaneous that he just jumped in the car with no bags or extra clothing that we will decide to buy stuff on the way. All N had was his wallet and phone. Now, that’s what you call spontaneous. This is going to be fun! I don’t know what Luxomebourg has to offer on a Saturday night but lets cross our fingers they have amazing bars in the city with the highest GDP in the world. Before crossing borders, we were driving past small castles and vineyards as we approach another medieval German town, Trier. 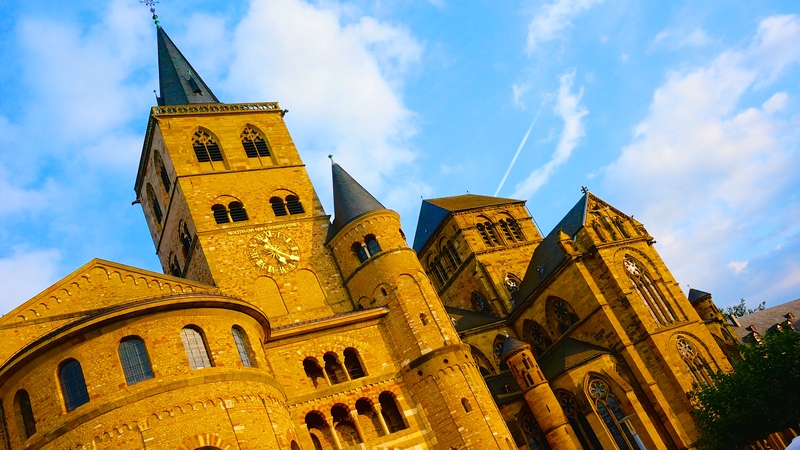 Trier is the oldest city in Germany, founded in 4th Century B.C. by the Celts. It was invaded by the Roman empire in the 1st Century B.C so you get to see old remnants of small coliseums and temples around town. 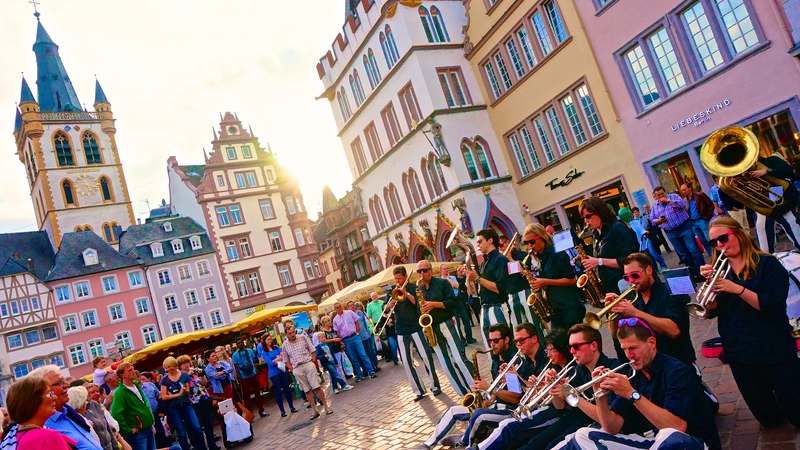 Strategically located by the Moselle valley and river, Trier’s lands are fertile and weather is just right for cultivating fruit trees and grapes. They are famous for their wine. so if you check your wine bottle and it says Moselle or Rhine region, it must be coming from Trier and its neighbouring towns. 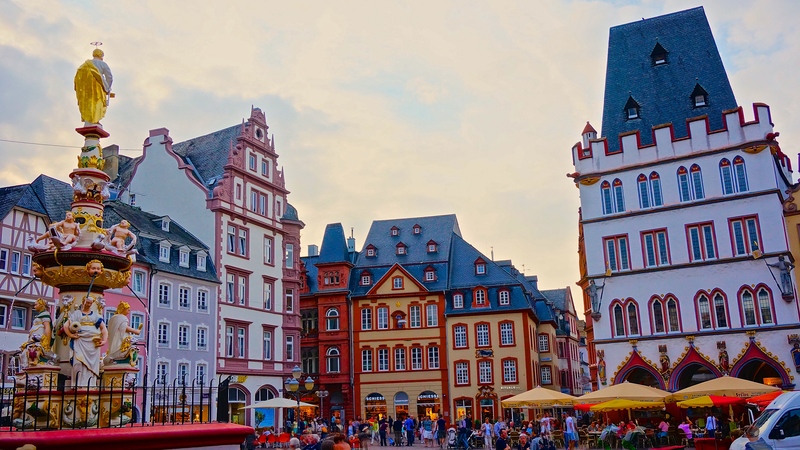 the old medieval buildings of Trier… old but still colourful and rich in history. The landscape was so amazing that you get to see hills and mountains at an almost 45 degree angled slope and vineyards still cover them with grape vines. 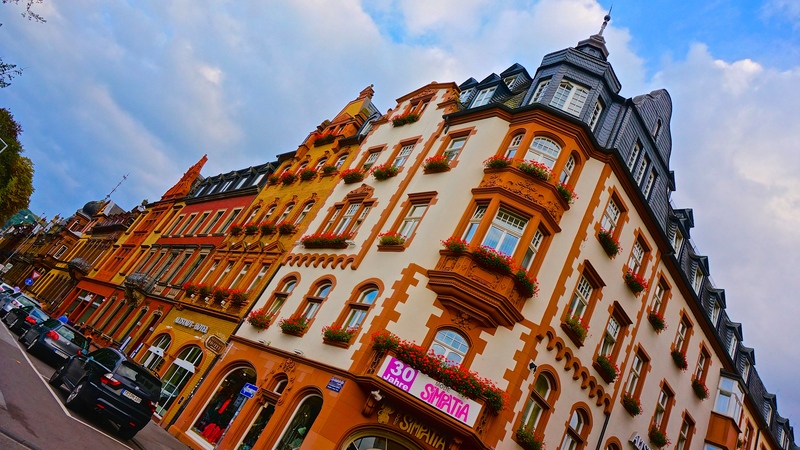 Trier’s old town area can compete with any medieval city in Europe. Colourful buildings, intricate art and religious statues in every corner of the street. You can actually see what year the buildings were built and you’ll be dumbfounded that some were built in the 10th Century. Spell O L D to the nth power. While walking in the cobblestoned streets, you get to imagine what it feels like living in these houses during medieval times when there were no proper drainage for your toilets like now and running water and heater systems throughout the house. When I was in the middle of the old square, it somehow looks like Old Town square in Prague. But the vibe was different. More colourful as food trucks were everywhere because of the long weekend and live bands were in every corner. Small carousels were also there to cater for the little people. What made my jaw drop in the city was their medieval cathedral. Like straight out from a knight’s tale, the gigantic almost castle like cathedral rises out behind the old square. When the Filipino ancestors were still playing with sticks and stones and not yet discovered by the Spaniards, this Romanesque Cathedral was already up and running in the year 1270. Thats how old it is. I don’t why they built another church beside when it was already too big for the Trier population. It resembles more of a fortress than a church. 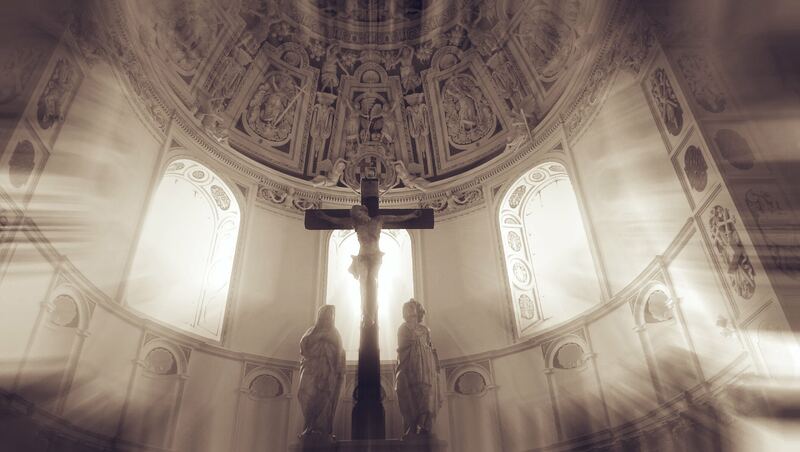 It has an impressive collection of artworks and holy relics such as the holy robe of Christ from Jerusalem, the seamless fabric that was worn during when he was crucified. The cathedral even has the holy nail, the nail that was used during the crucifixion as well. Rumour has it that faith was established in this town by a bishop personally sent by the apostle Peter himself. History. Such an amazing thing. 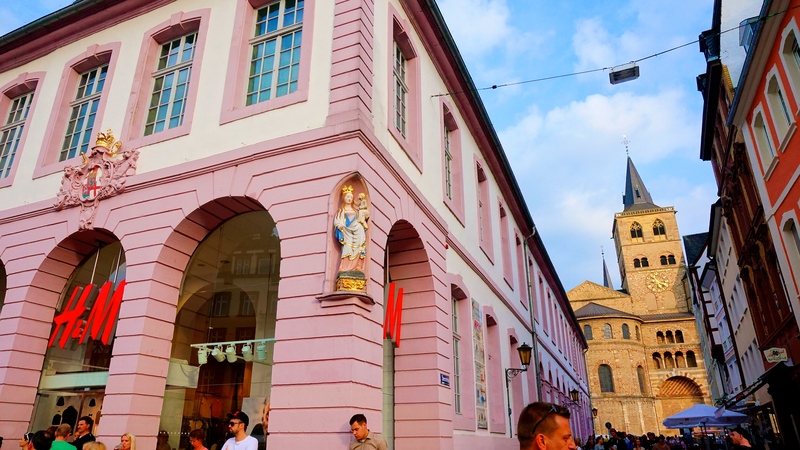 Even H&M has its own virgin mary and child outside… the cathedral looms over the back. 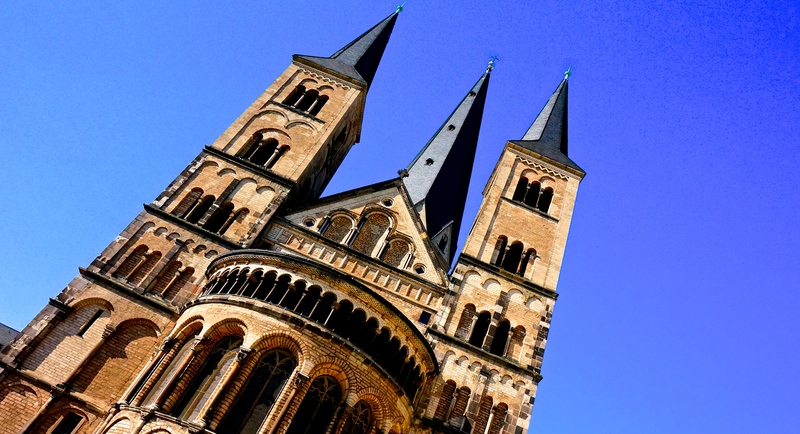 If ever you are in south west Germany, Trier is a must and its surrounding castles. 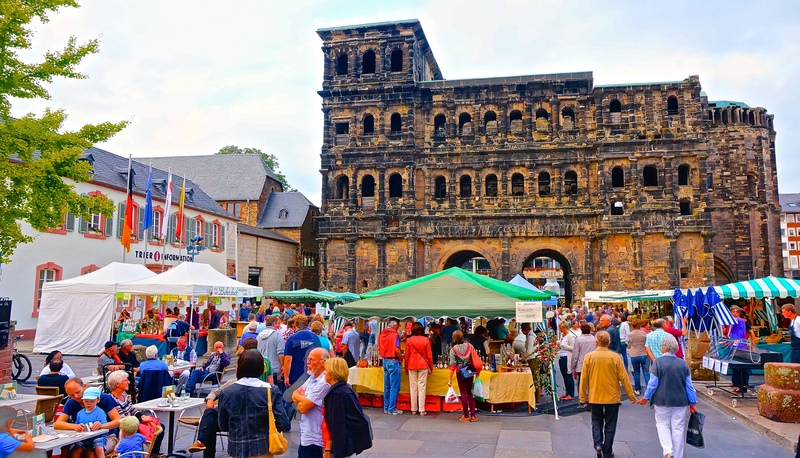 Another old edifice to see in Trier is the ancient Roman gateway or they call it as Porto Nigra, the largest Roman city gate north of the Alps. 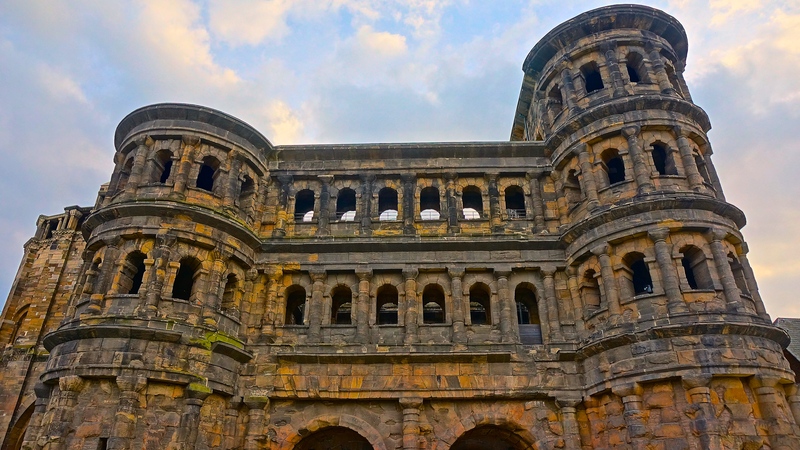 Serving as the main gateway to Trier in the Roman era. Built in 186 A.D., it was actually never finished as you can see it from the back side that some stones are still rough and not abraded. 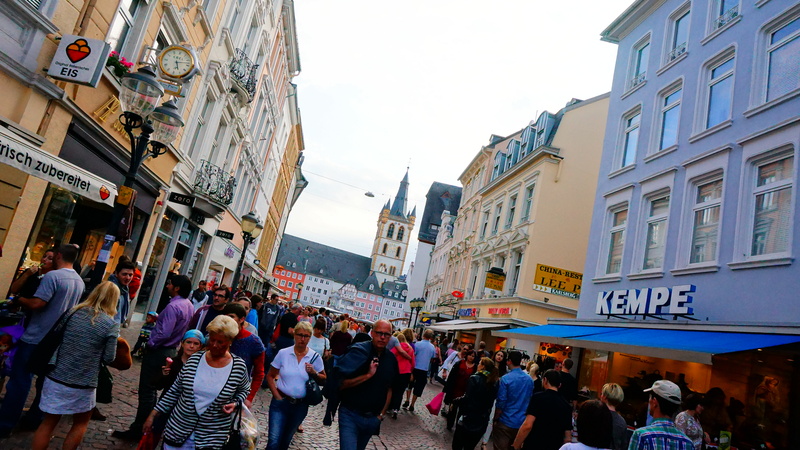 As the sun was halfway down, it was time to move on again down south to the nearest city in Trier, the capital of Luxembourg, Luxembourg City. an hour’s drive and we have reached the capital. It was a sleepy town on the weekend as all shops were closed for the holidays. But that doesn’t mean that it is boring. Luxembourg was really a surprise for me when the sun went down. 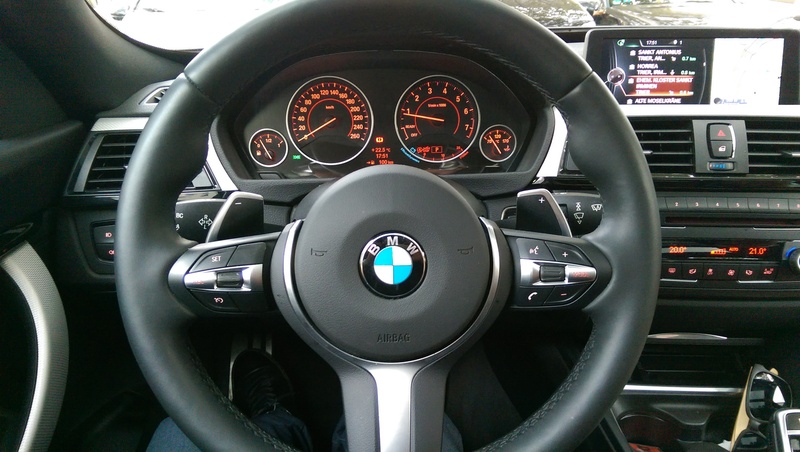 All details will be on the next entry… for now, enjoy the pics below of what I have seen in the road trip from Wuppertal to Bonn to Trier. 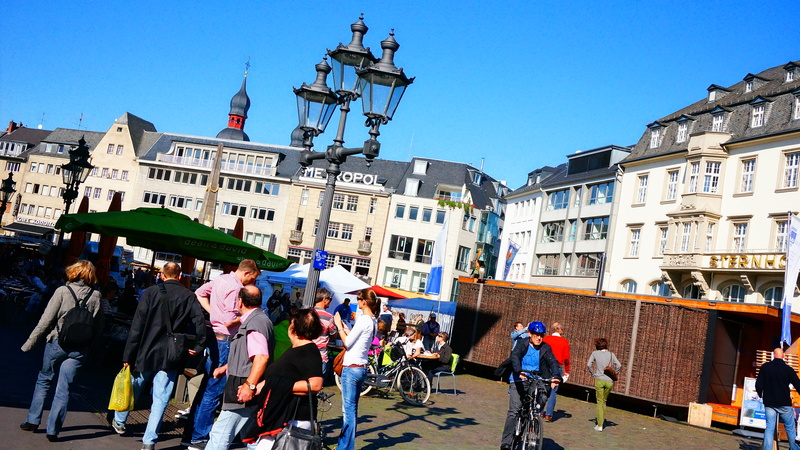 I think I’ll love Bonn. If not, your pictures make it so tempting to visit!